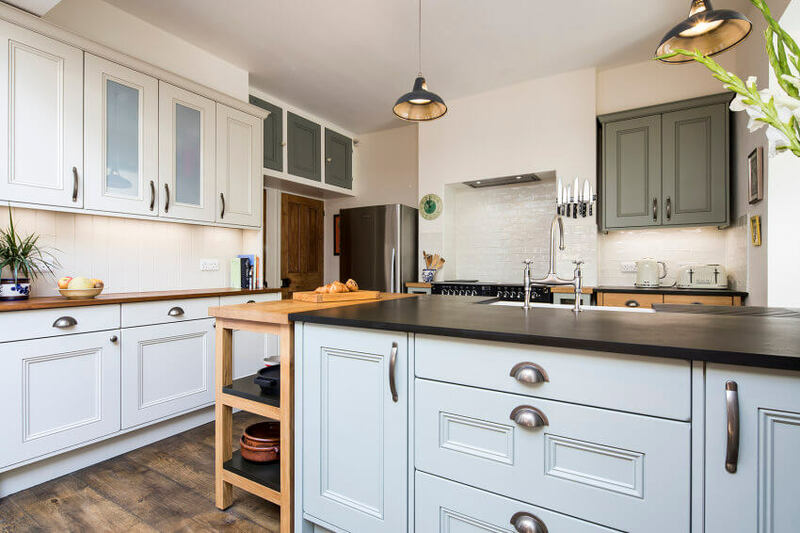 This rustic style kitchen-diner by Sheffield Sustainable Kitchens features our Dark Grey Coolicon Pendants. This kitchen design company aims to use materials that are sustainably sourced, a concept Artifact Lighting appreciates as we also aim to be as environmentally-conscious as possible. 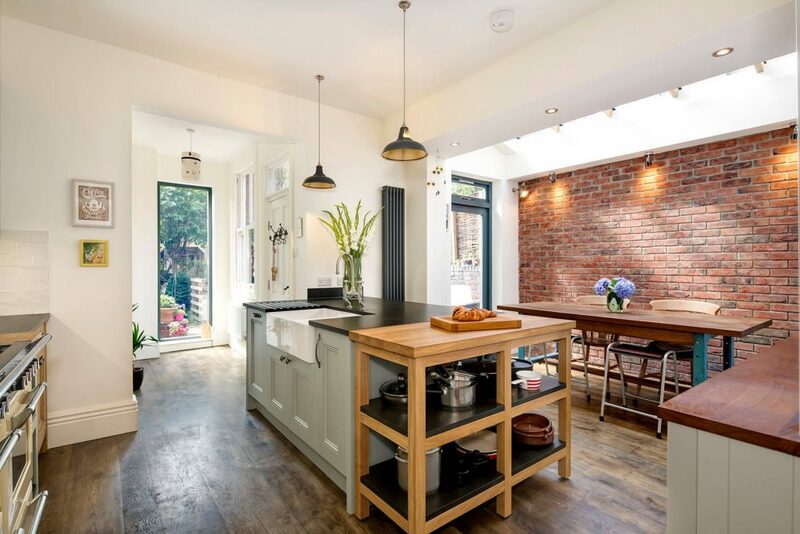 This contemporary kitchen has a feature island with a recycled paper worktop, above which our pendants are suspended. 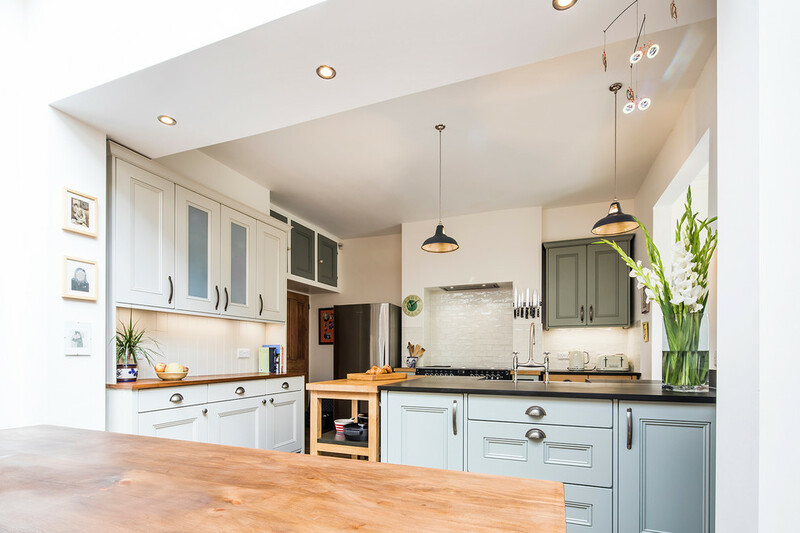 The Dark Grey finish complements the colour scheme while providing much needed task lighting over the surface. The Coolicon shades work well to create a cohesive aesthetic throughout the open-plan space, as an exposed brick wall in the dining area adds a loft-style element, reflecting our industrial-inspired shades. 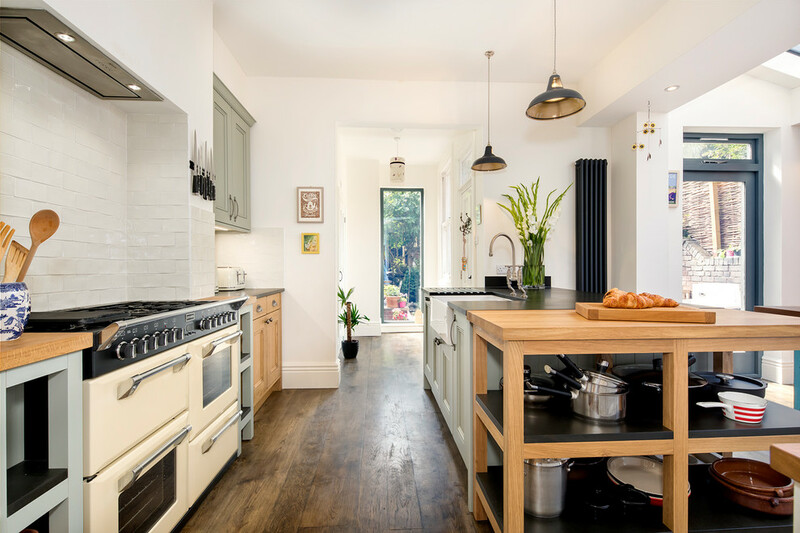 Images by Photography by Dug Wilders interior by Sheffield Sustainable Kitchens.